Primedia walked away with four major awards at the Liberty Radio Awards on Saturday night. Eyewitness News' Tara Penny won Best News Reader while her colleague Mia Lindeque won Best Field Reporter. 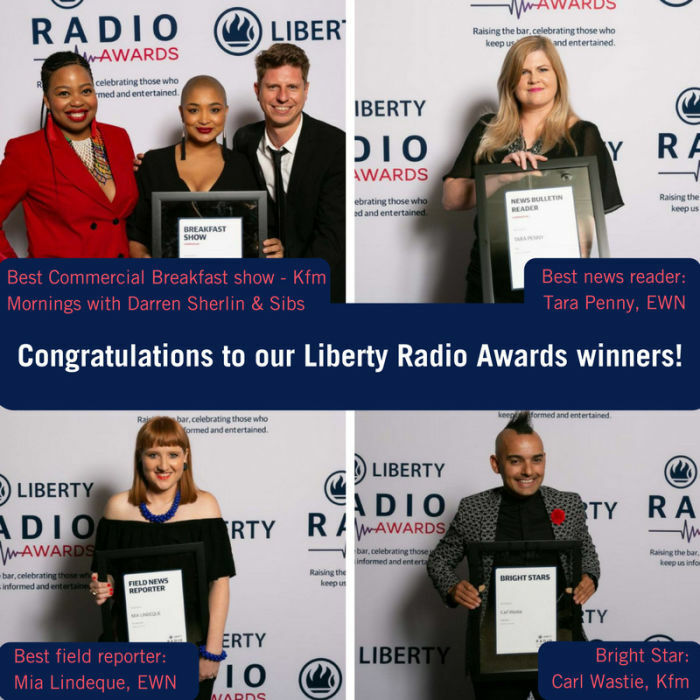 Cape Town radio station KFM scooped up awards with as KFM mornings with Darren, Sherlin and Sibs took the best commercial breakfast show and Carl Wastie was also named one of the "Bright Stars", an award given to someone 35 years or younger and who is really making their mark in the industry! Primedia Broadcasting took home 7 Bookmarks Awards in 6 different categories at the awards ceremony presented by IAB SA yesterday. Thompson is in South Africa to launch his autobiography Breaking News, detailing his 50 years in journalism. Omar Essack explains why the company did not initially name the former exec accused of misconduct.